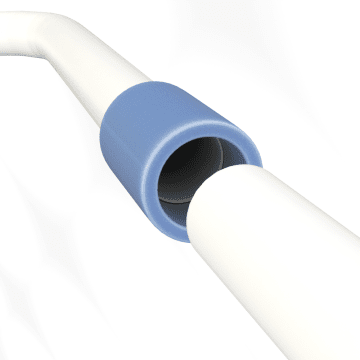 Connect two lengths of rigid PVC conduit with these solvent-weld couplings, which have two female ends and a center stop. Made of corrosion-resistant PVC, these couplings are suitable for outdoor use and underground burial applications. Use PVC cement to solvent-weld the couplings to rigid PVC conduit.